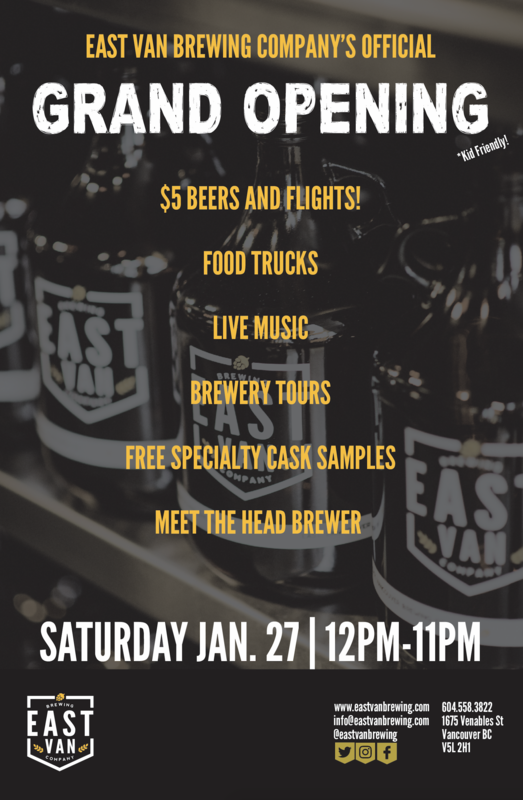 GRAND OPENING PARTY JAN 27 – East Vancouver Brewing Co.
East Van Brewing Co.'s grand opening party is on Jan 27 from 12pm-11pm. Come celebrate with us! Food trucks, kid friendly, $5 beer and flights, free samples, brewery tour, and a meet & greet with the head brewer!